RIDGID® Model No. 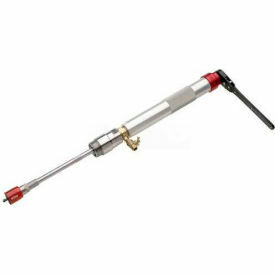 RT3422 Tapping Tool CTS Set, Flared, 3/4"-2"
Heavy-duty design. Sturdy machined, corrosion-resistant materials for dependable lifelong benefits. Built-in bleed valve allows for easy purge of chips. Tapping Capacity: 3/4 - 2"